Don’t make the mistake of waiting for your boiler to breakdown before replacing it as your home could be left without heating and hot water for several days. Being able to identify some of the signs you need to replace your boiler, listed in this article, will give you full control over when the new boiler can be installed. So you can arrange a relaxed summer boiler replacement rather than having to deal with it out of the blue in the middle of winter. While an old boiler might be heating your home, it’s probably doing so unsafely and inefficiently. Despite this, many people choose to wait until the boiler breaks down before replacing it. When it comes to replacing your boiler, it’s better to arrange the installation when the boiler shows signs of being on its last legs rather than once it’s completely broken down, leaving you without heating and hot water. Boilers don’t come with expiry dates so it can be tough to know when to replace it, unless the unit completely breaks down. If your boiler is more than 10 years old, it’s well worth considering a replacement as the older models simply can’t compete with the efficiency levels and safety features of modern boilers. All boilers installed across the UK must have an efficiency level of at least 92%, giving it an A rating for efficiency. Boilers with higher efficiency will be able to heat your home in a way that’s better for the environment and your energy bills. Over time, boilers gradually lose their efficiency which will see your energy bills begin to increase. If you’ve noticed your energy bills begin to rise, it could be time for a new boiler to help you start saving. A boiler that keeps breaking down is not only frustrating but costly. Even if all the faults can be repaired by a Gas Safe engineer, it all adds up and is a tell tale sign that time is up for your boiler. All that money being shelled out to keep repairing your current boiler would be better spent on a new boiler you can rely on. Any noise coming from your boiler is a sign that something is wrong, so don’t ignore any banging, gurgling or kettling sounds as they’ll only worsen over time. 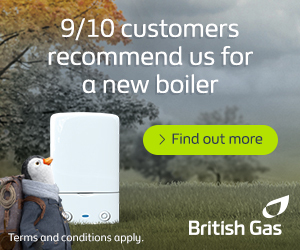 You don’t have to put up with a boiler that is heating your home and hot water as well as it once might have done. Rather than waiting until the heating doesn’t work at all to install a replacement, a new boiler will be able to comfortably heat your home as and when you need. Does it Make Sense to Replace a Working Boiler? If your boiler was installed quite a few years ago, then it’s more than likely that your home, or the number of people living in it, has changed in someway. Whether you’ve had a new bathroom fitted or you’ve had new additions to the family, your boiler might not be powerful enough to meet the increased demand for central heating and hot water, which means that the boiler is being overworked and that can lead to breakdowns and large repair bills. As boilers age the parts are more likely to develop faults and the older a boiler is, the less likely the manufacturer still makes the parts, which can make replacing them almost impossible for heating engineers. Should an engineer be able to source a hard to find part, then it’s likely to come at quite a cost. The older a boiler gets, the harder it needs to work to produce hot water, which means using more energy. As a result, older boilers have lower efficiency ratings than newer models, leaving you with ever-increasing energy bills. By law, all boilers installed in the UK have to be condensing with an efficiency rating of at least 92%. This efficiency rating means that for every £1 spent on energy, only 8p is wasted, which, when you compare that to an older boiler with an efficiency of around 70%, it’s quite a saving. Depending on the type of boiler being installed, the replacement could take anywhere between 1-3 days, so you won’t want to be left without heating for that amount of time during the winter when we need our boilers the most. Having a new, efficient, fully-operational boiler installed ahead of the winter months will give you the peace of mind that you and your family will be warm all winter, making summer the ideal time to replace your boiler. Summer might seem like a strange time to be worrying about having a new boiler installed, after all it’s warm outside and the central heating is the furthest thing from our minds. However, that is one of the many reasons why summer is the perfect time for a boiler replacement: you don’t have to worry about getting cold. The pleasant temperatures we’re treated to during the summer mean that we don’t have to rely on the central heating to keep warm so going without it during the installation isn’t as bad as it would be during the winter. Heating engineers tend to be at their busiest during the winter, which can not only make arranging a time and date for a boiler replacement much tougher but also come at a higher cost. Less risk of a boiler breakdown during winter As the winter comes around again, already having dealt with replacing your old boiler with a more modern unit means there’s less risk of a boiler breakdown when you need the central heating the most. Whereas, a boiler that was installed anywhere above 8 years ago would be much more susceptible to breaking down. By law, all new boilers installed across the UK have to be condensing with an efficiency level above 92%, which could potentially save you up to £305* a year on your energy bills. Condensing boilers are able to generate more heat from waste gases that would otherwise be lost by a non-condensing boiler. The benefits of which are twofold, reduced energy bills (especially during the winter when the central heating is needed most) and less impact on the environment. How Much Does a New Replacement Boiler Cost? There are many factors that can affect the total cost of a boiler replacement but you will typically end up paying between £1,000 – £3,000 for the supply of the boiler and installation. The price of the boiler itself will vary depending on the manufacturer, model and type of boiler (Combi, System or Regular). Use the table below to find out the minimum cost for a new boiler from some of the most popular brands on the market. Getting multiple quotes will allow to compare potential costs and pick the one that’s best for you and your home. Sourcing several quotes might sound like unnecessary hassle but by using Boiler Guide you’ll get free quotes from up to 3 heating engineers based in your local area. As of April 2018, all boilers installed in the UK have to be condensing with an efficiency level of 92% by law. The high levels of efficiency boasted by condensing boilers will help to reduce your energy bills. All boilers have an efficiency rating from A-G, with A-rated boilers being the most efficient, and, according to the Energy Saving Trust, replacing a G-rated boiler with an A-rated boiler could save you £305* a year on your energy bills. So, if the price tag attached to a new boiler, in addition to the installation costs, is putting you off replacing your current unit, you could potentially see a return on your investment within a few years. Once you have a new boiler installed, you’ll want to make sure that it can heat your home and hot water for as long as possible and there are many things you can do to help. An annual service by a Gas Safe engineer will ensure that the boiler is running safely and efficiently. Not only that but an annual service is required to keep the manufacturer warranty valid. Central heating systems are made up of metal and water, so overtime rust, sludge and various other bits of debris can begin to build up in the pipes and radiators, ultimately making the system less efficient. A magnetic filter attracts all of this metallic debris before it has a chance to build-up in the system. This not only helps to keep your boiler running efficiently but also extend the life of the central heating system as a whole. You’ll find that many heating engineers will recommend fitting one as standard for these very reasons. Gas Safe engineers are the only people qualified to work on gas boilers, whether that’s the installation, a service or any repairs. You can get free quotes from up to 3 Gas Safe engineers in your local area using a Boiler Guide – allowing you to compare multiple quotes and find the best deal possible. PREVIOUS POST Can You Get a Free Boiler? NEXT POST Does Your Energy Supplier Owe You a Refund?